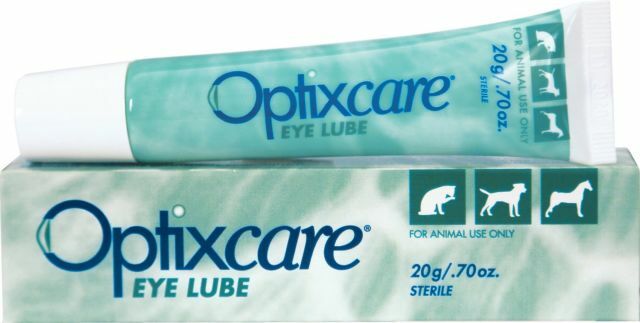 Optixcare Eye Lube is ideal to be used as protection to animal eyes during anesthetic. It is also used as part of the multi-pronged approach to dealing with "dry-eye". It contains hyaluron which attracts and retains water while cabomer is used for its hydrophilic and sustained release properties. The combination of these two ingredients creates a sustained release hydrophilic carbomer delivery matrix infused with nourishing and hydrating hyaluron. Carbomer gel also brings a viscosity to the gel which causes it to remain on the cornea for an extended period of time. This viscosity allows for control of the drop applied which makes it easy to apply. Optixcare Eye Gel becomes more liquid immediately on contact with the salt in the tears of the eye. Optixcare Plus also contains hyaluron. The hyaluron attracts and retains water. It helps to deliver maximum nourishment and hydration. 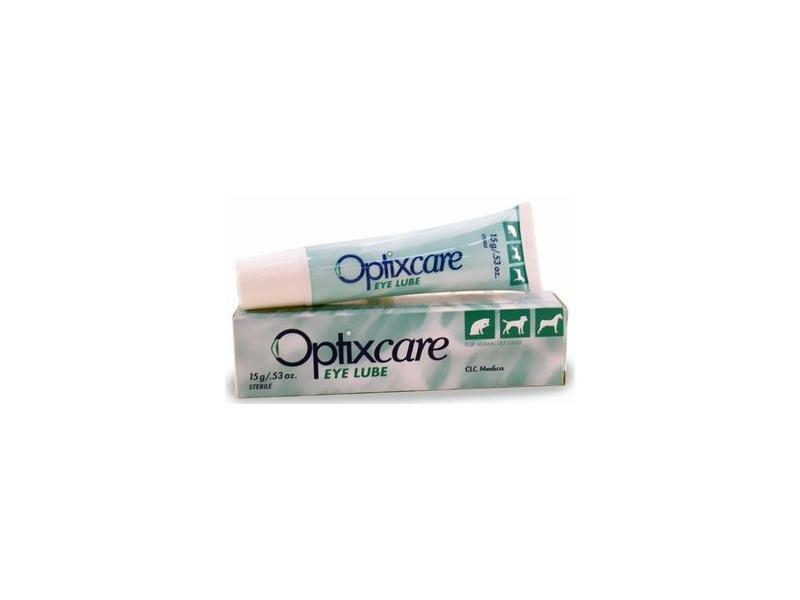 Unlike mineral oil or petroleum based eye ointments, Optixcare Eye Lube is formulated with a sterile water base. Because of the water base and the gel viscosity only one drop per eye of Optixcare Eye Lube is needed. The frequency of application will depend on the veterinarian's direction and the pet owner's capability but the Eye Lube is very safe and non-irritating. Anesthesia: Instill 1-2 drops onto the corneal surface or conjunctival sac of both eyes. Dry Eyes: Instill 1-2 drops in both eyes, two to three times a day or as often as recommended by your veterinarian. Below are some recent questions we've received regarding Optixcare Eye Lube, including answers from our team. This product is likely to help with the management of dry eye due to its lubricant and water retaining properties. It would need to be applied regularly as is has no actual 'drug' in its constituents. Whether it would work alone without the optimmune is uncertain but you could give it a try (ideally in consultation with your own veterinary surgeon) and monitor response to treatment. Optimmune has an active ingredient which manages the immune aspect of dry eye, this product would not do that. Hope this helps? What is the difference between the normal and plus version? The Plus also contains hyaluron, which attracts and retains water. It helps to deliver maximum nourishment and hydration.